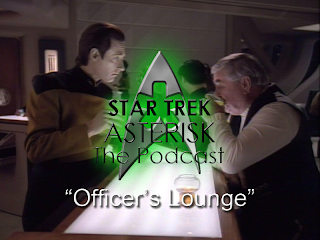 Star Trek: Asterisk "Officer's Lounge - The Long Samaritan Manhunt"
Welcome back! Please, make yourself at home, have a seat on the sofa, crack open a soda, turn on the Xbox and open Netflix. It's time for Star Trek: Asterisk! Today I'll be trucking on through "Samaritan Snare," "The Long Ladder," and "Manhunt." A triplet of hilarious episodes! Beam them into your earballs right here.